I have had Ramen almost every night this week! It is one of my favorite things. I would like to share one place in particular that really stood out. Not only because the food was amazing but the atmosphere as well! 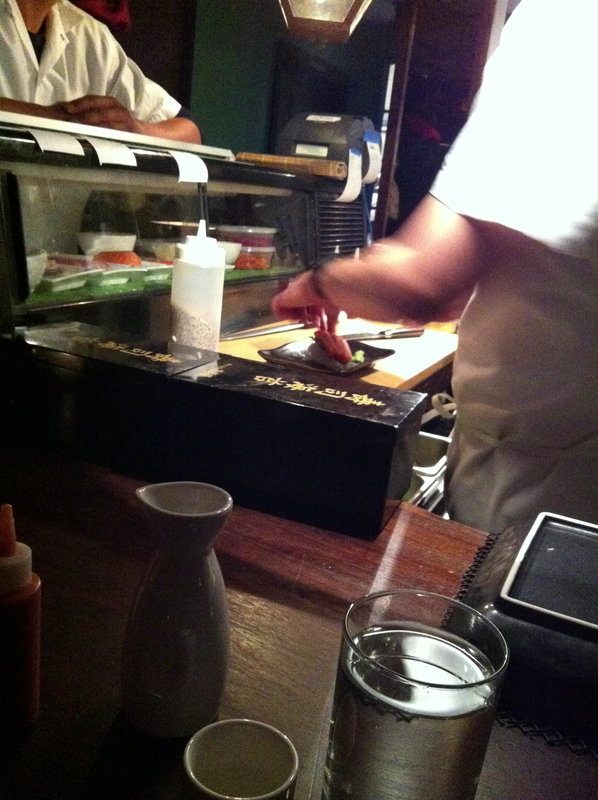 Suzume in Williamsburg located at 545 Lorimer street has won my heart and my money. Walking in it’s quite small but theres ample seating and the people running it are friendly and fast. The lighting is low, but just enough to see your friends and your food. Just the way I like it. My selection was Spicy butter tofu ramen. Sounds like it tastes. They had me at Butter. The tofu was crispy and the broth was not to heavy. Portions are just enough so you don’t feel like the good year blimp when your’e done. Some of the other Ramen they have includes…. -Suzume Ramen- with braised berkshire pork belly, scallion and an organic poached egg. 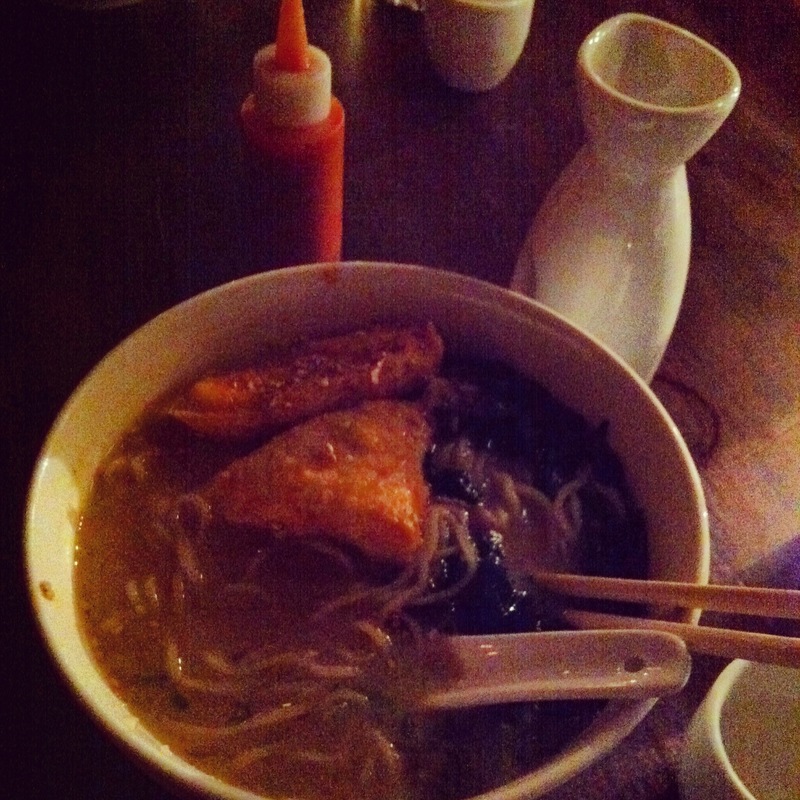 -Roasted salmon Ramen- with spicy miso broth, scallion and wakame. Hope you get down there 🙂 I cant wait to try everything on the menu!!! If you have pictures of food tattoos or a great recipe you would like to share please email us at knivesandkneedles@gmail.com!